Bonus tip: If you want to see my very first unboxing video podcast, have a look at the posts ‘Unboxing Apple Watch Sport In Space Gray‘, ‘How To Set Up An Apple Watch Sport In Space Gray‘ and ‘How To Take Screenshots On An Apple Watch‘. It is really annoying that the Apple Watch activation on wrist raise is not working in the vertical turn. 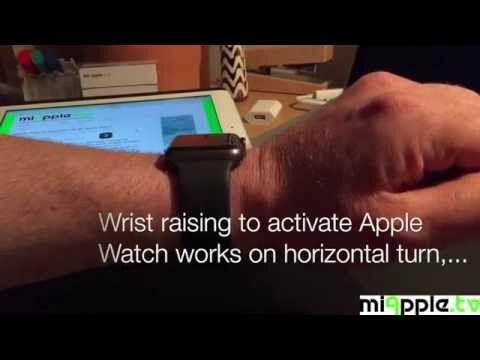 Hopefully, an Apple Watch OS update will soon improve the activation on wrist raise. By the way, I’m still testing my Apple Watch. More details are following! Do you have any special question for testing? Comment and I’ll have a look into it! Wrist rise has suddenly stopped working on my Apple 4. All settings are correct as far as I can see.